The Gunners welcome the likes of Granit Xhaka and Laurent Koscielny after injury setbacks, and the duo should provide the much-needed boost ahead of tricky encounter. Petr Cech has been the regular choice when it comes to the Cup and European competitions this term and the veteran should feature in goal against Carlo Ancelotti's side. In the backline, Unai Emery should welcome Laurent Koscielny after his foot injury and the Frenchman could be paired alongside Sokratis and Nacho Monreal, with Shkodran Mustafi dropping to the bench. Ainsley Maitand-Niles and Sead Kolasinac are undisputed choices in the right and left wing-back positions and in the midfield, both Granit Xhaka and Lucas Torreira could return to the mix. Xhaka has become available after recovering from a groin problem and he could be partnered alongside Torreira, who has recently missed Premier League games through a domestic suspension. 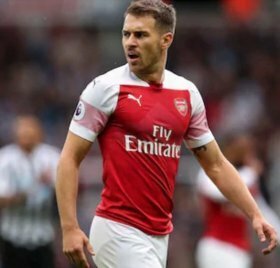 Ahead of them, Aaron Ramsey and Alex Iwobi could be paired together in the attacking midfield positions, and the former has certainly been one of the club's standout performers of late. Upfront, Pierre-Emerick Aubameyang could lead the line on his own. Emery has restricted the choice of pairing both Alexandre Lacazette and Aubameyang together, and the same could remain the case tonight.